Have you noticed that just about everyone is talking about downtowns these days? They’re finally cool again! 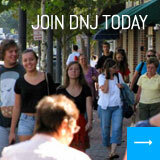 Young people want to live in downtowns; older people want to live in downtowns. Changing national demographics are fueling mixed-use and mixed-income growth. Dramatic shifts in the retail landscape have turned shopping upside-down. During the 1970s and 1980s, when Main Streets were emptying out and everyone was predicting the death of independent retail, nobody saw what we are witnessing today. Online shopping is crushing big-box, and the mom and pops just might have a chance to reassert their relevance. This new landscape is still perilous, though. It isn’t enough merely to build it and hope they will come; the resurgence has to be capitalized upon in a meaningful and sustainable way. What makes a resident, a business, or a visitor choose one downtown as a destination with so many other alternatives available? Here in Somerville, the downtown is in the midst of a building boom. Hundreds of new residential units have been built since 2010, with more under construction and in the pipeline. 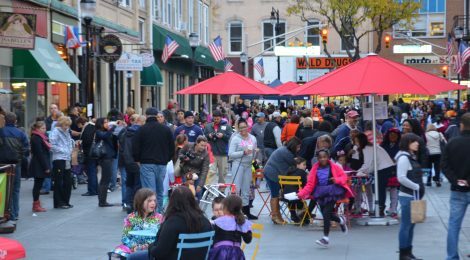 With so much growth happening, we at Downtown Somerville Alliance found ourselves stretched by demands placed on us by elected officials, other organizations, residents and even our primary audience, our business owners. If we didn’t pay close attention, all of that pressure could have caused us to be reactionary and inauthentic, and seriously damage our relationships and success. It was difficult, but in the middle of all the turmoil, we were forced to slow down and reflect deeply on our “why,” the core belief we share with our primary audience. Let’s be clear: We’re not talking about a logo or tagline. We are talking about what is referred to as “brand ideal:” the essential “why” for the Downtown Somerville Alliance as an organization. This is a focus on the relationship between us and the people who make our downtown thrive. The trick is figuring out how to guide the brand with the thoughtful intention of a good friend, so that the people we serve will cherish the relationship and become fiercely loyal, and a deeper sense of community place will inevitably develop. Unearthing our brand ideal clarified Downtown Somerville Alliance’s purpose, which made it possible to align our vision, mission and structure to serve our business community better. The result was a powerful litmus test against which we can now weigh decisions, that clears the path to an authentic future. Most recently, this has meant looking at our long list of events with an eye towards what is working best for our merchants and turning those that, while great, did not serve our mission, over to other community groups. We can now focus clearly on making our signature events serve our businesses. For the remainder of 2017, we are concentrating on implementing data collection tools to address three key areas: We want to create a more nuanced profile of who is coming to the downtown; we will then create simple demographic data packages for our businesses to help them market more effectively (and in some cases provide a rationale to tweak their business model); and we will fine-tune our business development efforts as we work to expand upon our already very successful dining niche. A community’s identity is at the heart of its brand. Whether your downtown organization’s brand has been formalized on paper or not, it requires a concerted effort to identify and manage. Without careful shaping and protection, your brand can become diluted, or worse, confused. And once the culture of collaboration required to foster a brand relationship is established, there must be a conscious effort to “pass the baton” to the next generation of merchants.